All the shackles and links in this category are Marine Shackles and come with certification documents for insurance purposes. Each shackle is engraved or stamped with a unique serial number. The serial number will appear on the certification document. 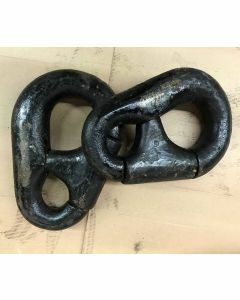 The shackles are designed and *certified* to join sections of Stud Link Anchor Chain, swivels or other hardware in the anchor chain. The shackles will come with Lloyd's-type approval unless you specifically ask for something different. Lloyd's Register is the oldest and most well known certification agency. 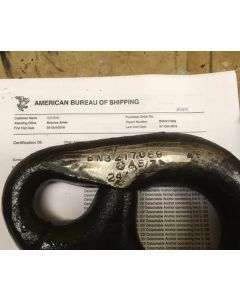 All shackle components are stamped with a unique serial number with accompanying documentation to show traceability of the shackle all the way back to the factory lot. This is done for insurance reasons. Large commercial vessels need to have the right anchor assembly with associated approvals to get insurance. 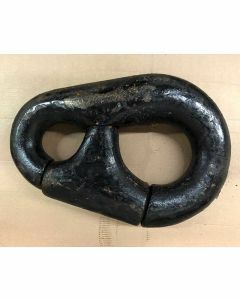 Please note that Kenter shackles are not as easy to open after time in the water as a detachable chain connecting link. These are similar to the MarQuip brand of detachable chain connecting links. Kenter Shackles are supplied with a stainless steel locking pin. Even though a Kenter has stainless steel pin inside which should not rust (much), the shackle will often lock up to the point that it's not removable. 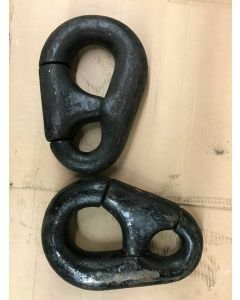 It's very common that a Kenter shackle will have to be cut off instead of disassembled. 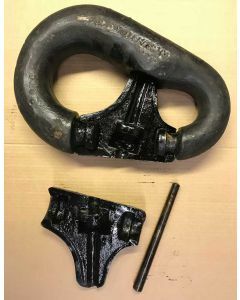 If after multiple attempts a Kenter shackle cannot be disassembled, as a last resort a Kenter shackle can be cut off with a cutting/blow torch or a grinder. 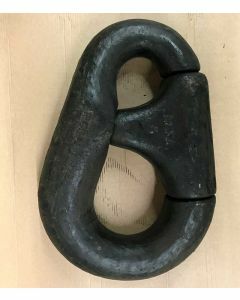 Kenter shackles are used to join anchor chain shots together. Detachable chain connecting link is usually used once somewhere between the anchor and the start of the anchor chain. There will be also likely be a Anchor Chain Swivel and other items.